Before hanging the Stars and Stripes to celebrate the Fourth of July, the United States Flag Code calls for specific procedures to ensure any flag displayed is shown respect. 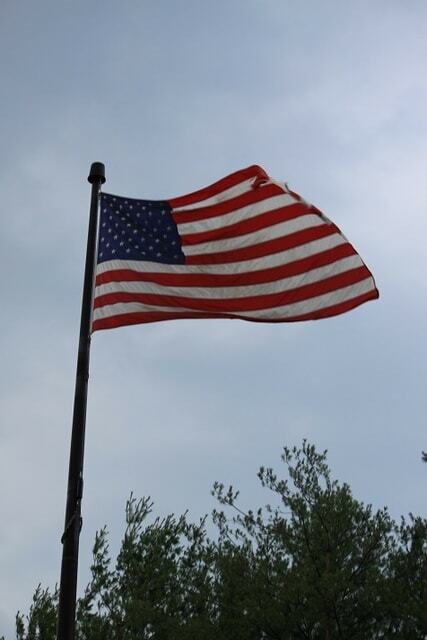 COLUMBUS – Flags are popping up all over Ohio this Fourth of July weekend. But there are some important “dos and don’ts” to consider before flying Old Glory. The U.S. Flag Code became public law in 1942 and specifies the exact rules for use and display of the flag. Mike Buss, deputy director Americanism Division with the American Legion, says above all he hopes people show respect for the flag. Buss says it’s okay to fly a flag in the rain, as long as it’s an all-weather flag and at night, the flag needs proper illumination. He adds the flag should never be displayed if it is tattered, torn or faded. If a flag becomes no longer serviceable, it can be given to the American Legion to be destroyed in a disposal ceremony. Buss says it’s permissible to use paper plates and balloons or even wear clothing with a flag image or the stars-and-stripes pattern. But he says the actual American Flag should never be used in that way. The Flag Code also covers patriotic customs, such as etiquette during the national anthem. All people present are expected to face the flag, remove their hat, and place their right hand over their heart. Buss adds misusing the flag is considered a breach of the Flag Code, but there are no penalties or fines for doing so.